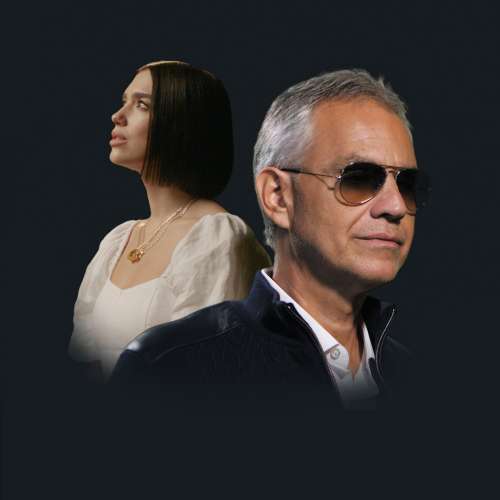 14 November 2018 (Toronto, ON) - After topping the charts on both sides of the Atlantic with his No.1 album Sì, Andrea Bocelli has unveiled two new videos with global pop superstar Dua Lipa for their new single “If Only”. The first is a beautiful new music video and the second is a behind-the-scenes look at how their duet came together. Watch the official music video HERE and the Behind the Scenes video HERE. “If Only” is a mesmerising collaboration which brings together two outstanding voices. The song was co-written by Francesco Sartori and the late Lucio Quarantotto – who helped pen one of Bocelli’s biggest hits, “Con Te Partirò” (Time To Say Goodbye), which was released over 20 years ago and has become one of the best-selling singles of all time. Earlier this week, Andrea Bocelli achieved two historic chart feats: he became the first classical artist to achieve a No.1 on the Official UK Album Charts in over 20 years; and he simultaneously topped the US Billboard 200 chart for the first time in his illustrious career. It is Decca’s first UK/US chart double in the label’s near 90-year history. Listen to Sì HERE. Sì is Bocelli’s first album of new material in 14 years. As well as duetting with Dua Lipa, he reunites with his friend Ed Sheeran (after their chart-topping “Perfect Symphony”) on a brand-new song called “Amo Soltanto Te”, written by Sheeran with lyrics by Tiziano Ferro. Crossover superstar Josh Groban and classical soprano Aida Garifullina also collaborate with Bocelli on the record. 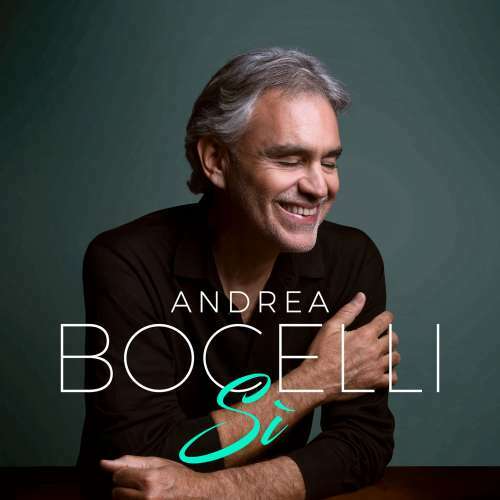 At the centre of the album is a spine-tingling duet between father and son as 21-year-old Matteo Bocelli steps into the limelight to duet with Andrea on “Fall On Me”. The video has already racked up a staggering 23 million views – watch HERE. “Fall on Me” appears in the end credits of the hotly-anticipated new Disney film, The Nutcracker and The Four Realms, starring Keira Knightley, Mackenzie Foy, Helen Mirren and Morgan Freeman, which is out in cinemas now. The soundtrack is also out now on Decca/Walt Disney Records/Universal Music Company, the country’s leading music company. Bocelli’s humble manner belies his international status as one of the world’s biggest classical stars. He’s sung for Popes, Presidents and royalty – most recently performing at the Royal Wedding of Princess Eugenie and Jack Brooksbank at Windsor Castle. He has performed in all the greatest concert halls and opera houses around the world and has sold 90 million records. He has a Golden Globe, 7 Classical BRITs and 7 World Music Awards under his belt, plus a star on the Hollywood Walk of Fame. Bocelli continues to tour the world with major shows in the US, Germany, Italy, Spain, Brazil, Canada, Ireland and the UK where fans will have the opportunity to hear his new music. He recently performed two sold-out nights at London’s O2 Arena. More information on his tour dates here. In his 60th birthday year, Andrea Bocelli proves he’s still at the height of his vocal powers with Sì – an uplifting new album about heart, soul, positivity. It showcases the extraordinary talent that has made Bocelli an international best-selling artist and global icon.